I’m ashamed to admit that I’ve never really been a fan of The Flash. Not so much in a “Ewww, get him away from me” way as much as a “Oh right, there’s a speedster in the Justice League” kind of a way. His character and all others like him in ANY comic universe has always been peripheral at best, in my humble opinion. Yet here I am, plopped in front of my TV every week just yearning for the next episode of CW’s The Flash. Personally, I blame Grant Gustin who gets to play the flash, because of his incessantly cute deliveries with every line; not to mention that I kind of crushed on him a little during his run on Glee as Sebastian Smythe. Don’t even get me started on that beautiful singing voice of his. I’m SUPER pumped for the mid-season premier and all the drama that comes with it. This show gets bonus points for bringing back Wentworth Miller because frankly? WOOF! And HELLO Liam McIntyre! Couldn’t they get him in his loincloth number from Spartacus though? 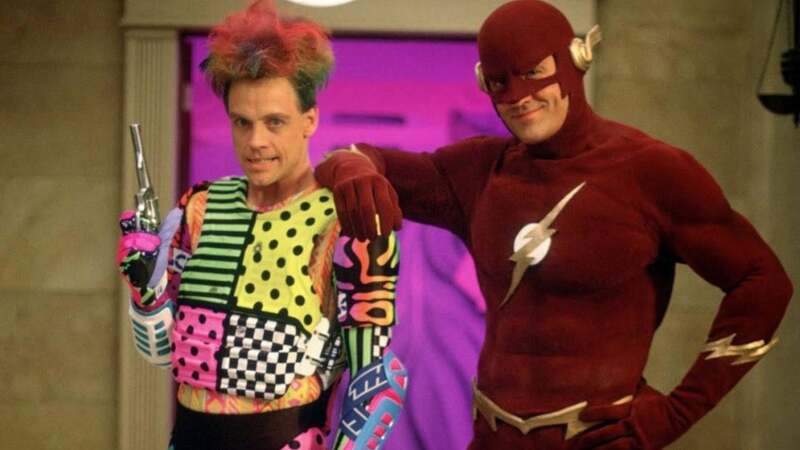 As if those two weren’t enough, there’s the addition of Mark Hamill as the Trickster! Luke freakin Skywalker is coming to The Flash and reprising the role he originated on… well…. The Flash! Last, and certainly not least by ANY stretch of the imagination is the up-close and personal debut of the Reverse Flash. The CW recently unveiled their first promo images of the outfit in full and it looks awesome! Mustard yellow never looked so good. All I can say is March 17th can’t get here soon enough. I’m officially waiting with bated breath until Scarlet Speedsters rushes back into my life. Wish he’d hurry up already. This entry was posted on Sunday, March 15th, 2015 at 3:16 pm	and tagged with Flash, Grant Gustin, Liam McIntyre, Wentworth Miller and posted in TV. You can follow any responses to this entry through the RSS 2.0 feed.